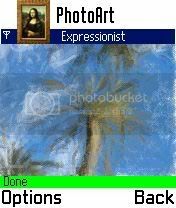 Create masterpieces from your photos with the PhotoArt virtual painter! Watch in real-time as your photo is re-created in a classic style! Azan Times shows daily prayer times for the selected city or configured locations to use on your java suppported cell phones or devices. emTube was written by Sebastian Jedruszkiewicz. emTube is an application allows you to search, download, manage favorites and view videos on YouTube videos or play back a locally stored file. CoreMp4 codec supported Video formats DIVX, DX50, XVID, 3IVX, 3IV2 for Symbian phones with SmartMovie version 3.10 or higher. Save the finished work – or send to your friends!